BACK ON MARKET! 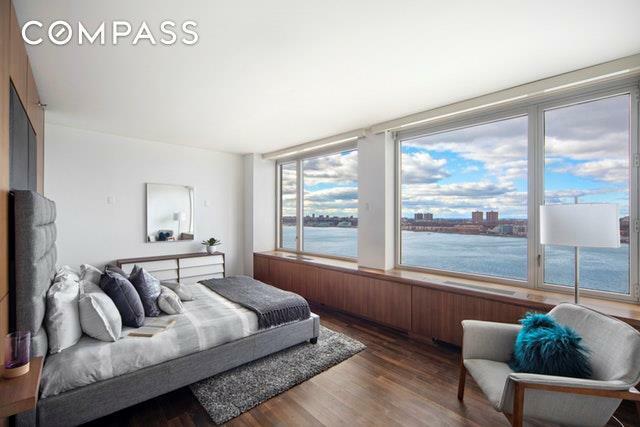 Breathtaking views and luxurious amenities define this oversized 2-bedroom home. 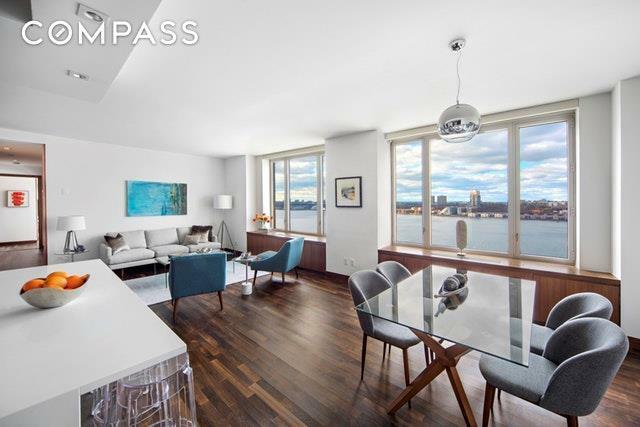 Situated on the 18th floor of 220 Riverside Boulevard, a full-service condominium, this 1425 square foot west-facing apartment offers unobstructed Hudson River views and magnificent sunlight from sunrise to sunset. This apartment features two large bedrooms, a gracious living room and dining area, and a large chef's kitchen, all with open views. Residents enjoy a 24-hour doorman, health club with 50-foot lap pool, spa, sauna, sun terrace, fully equipped entertainment lounge, billiards room, children's playroom, and parking garage. Apartment 18L features a unique and striking layout providing excellent views from every room, as well as notable privacy. 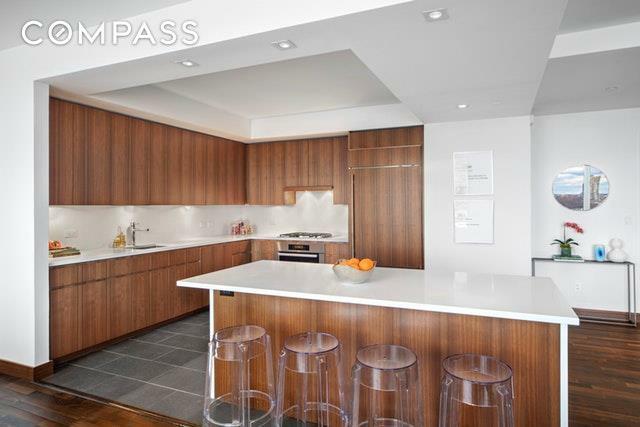 The open kitchen is outfitted with stainless steel appliances and a large, Caesarstone breakfast bar. Both bathrooms feature spa-level finishes. 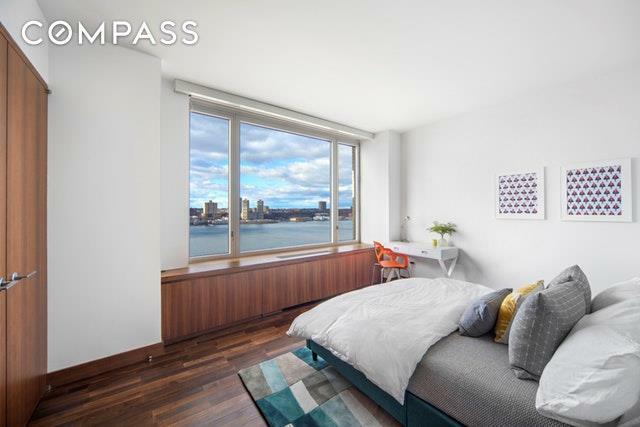 This location features the best New York City has to offer - close to Lincoln Center and the tree-lined blocks of the Upper West Side, but also directly accessible to Riverside Park, 79th Street Boat Basin, Pier 70, and the West Side biking and jogging paths. A storage unit is included with the sale. Listing courtesy of Justin Rubinstein of Compass.